THREE STRONG LEADERS, ONE POWERFUL VISION. When CEO and Founder Bernardo Chua began Organo Gold, he was already a successful businessman. What made this new venture unique was that it was born out of his vision and commitment to bringing the ancient Chinese herb known as Ganoderma to the rest of the world. Shane Morand, Organo Gold’s Global Master Distributor and Co-Founder, together developed an exciting business model, creating a cost-effective network distribution system that included an emphasis on leadership development that would ensure the greatest earning potential for the growing global Organo Gold network. 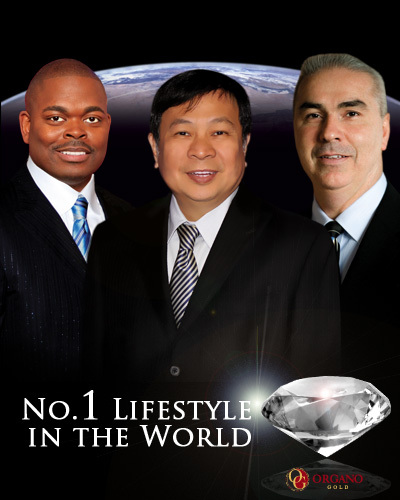 Holton Buggs was invited to join the company and promoted to the Executive Vice President of International Sales. 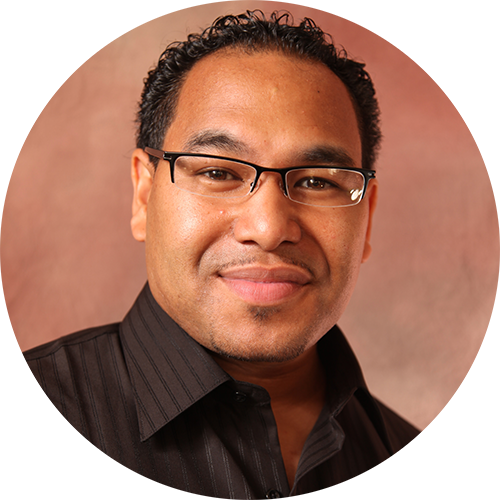 His in-depth knowledge of Network Marketing was a driving force behind the wide variety of complementary Organo Gold products. Holton’s Network Marketing expertise helps enable the Distributors to work with the system to build successful businesses. To deliver the knowledge and benefits of Ganoderma, Bernie researched and created a remarkable product line. The company’s primary products are premium coffees, teas and cocoa enhanced with renowned Chinese herbal powders such as Ganoderma and Panax Ginseng. These ingredients are also found in the Organo Gold line of nutraceutical products and personal care items such as soap, body lotion and toothpaste. These three leaders form a powerhouse that is pushing Organo Gold to incredible heights, as they strive to make Organo Gold one of the fastest-growing income opportunities in the world. Organo Gold is a global Network Marketing company on a mission to spread knowledge of Ganoderma to the entire world. The company vision is to help people improve their lives by reaching new levels of wellness, prosperity and balance, through the opportunity and products. In just five short years, this vision has helped millions around the world. Today, Organo Gold is a thriving global family in a position to make a positive impact on a massive scale. Organo Gold is now the proud corporate sponsor of the OG Cares Foundation, a non-profit organization that is helping create the leaders of tomorrow by enriching the lives of young people around the world. These products are designed to suit any lifestyle, and are enhanced with ancient Chinese herbal remedies that have been widely revered for hundreds of years, but, before Organo Gold, remained largely unknown outside of Eastern herbal medicine. One of Organo Gold’s main missions is to deliver the knowledge of these special ingredients to the global community. Many millionaires from around the world will point to Think and Grow Rich by Napoleon Hill as the book that elevated their mindset for success. In fact, all of the Organo Gold executive leaders have benefitted from this ground-breaking book. The Napoleon Hill Foundation agreed that Organo Gold’s Distributors would benefit from the 13 principles contained in this life-changing book, so an unprecedented and exclusive collaboration was formed. Organo Gold is donating all proceeds from the sales of our Collector’s Edition of Think and Grow Rich to the Napoleon Hill Foundation. Organo Gold blends the unequalled power of Ganoderma with an unparalleled business opportunity – one that allows Distributors to capitalize in the booming wellness industry. By positioning your Organo Gold business alongside the current global health and wellness trends, this business can quite simply be bigger than anyone could dream. Whether it’s a balanced lifestyle, more time with family, or financial freedom, Organo Gold can help anyone make their fantasies a reality. Organo Gold is empowering individuals from around the world through Loyalty, Unity and Edification. In addition to these solid values, Organo Gold’s industry-leading Compensation Plan makes practically anything possible. It’s an innovative and generous plan that will reward Distributors for their leadership and commitment. The strength of the Organo Gold Opportunity has already created life-changing incomes, and it looks set to change many more lives for the better.